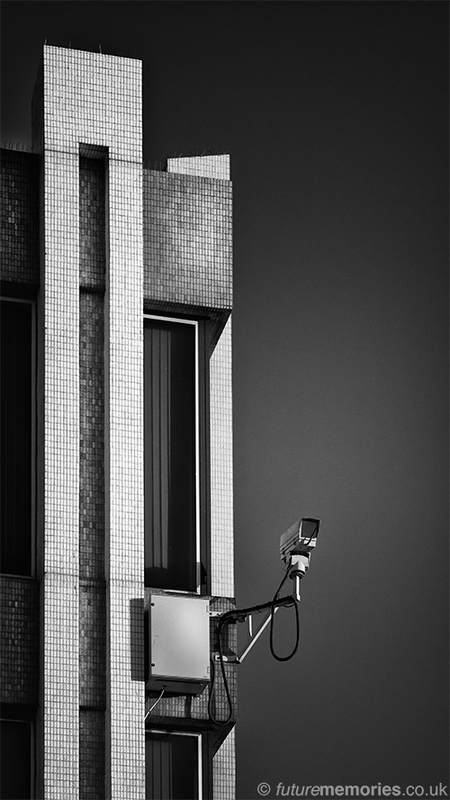 One of the many CCTV cameras found in the city. This one’s attached to the Townhouse Extension on Broad Street, Aberdeen. It’s not the most inconspicuous one I’ve ever seen! It breaks the vertical lines of the building though.